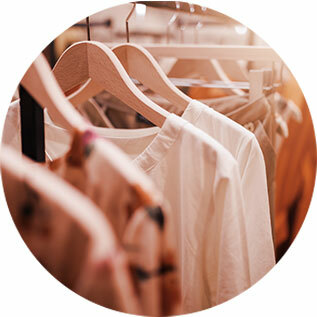 Why It’s Time to Purge Your Marketing Closet | circus strategic communications inc.
We’ve come to expect changes in the New Year. It’s the time to usher in new activities, pay off bills, clean out closets and reorganize our life. Whether or not the changes become permanent, we’re conditioned to stop and make tough choices at the start of each year. It’s a good and necessary process. Just like our closet, our marketing toolbox needs to be purged and frequently updated. There’s no room for clutter if you want to stand out. So why don’t we undertake the same transformation – out with the old and in with the new? The simple answer: real change is hard. It’s also vital for business growth. Clients come to us because they don’t know where or how to begin and they need our expertise. Too often, we see small and mid-sized business owners who have come to us because their marketing toolbox is a mess and more than one has arrived at our door with an unfinished website because they abandoned the project in frustration. Whatever the reason, they look to us to fix their problems and seek our advice on the changes and choices that need to be made. Here’s how we help them. The first step when we’re onboarding a new client is the Discovery process. We dig deep into their business and get inside their head to uncover new possibilities. Together we assess the highlights and lowlights of the company’s past and present performance. Naturally, these conversations can be difficult but every business needs to tackle the critical issues and stand in front of their problems. Sometimes the fear of change gets in the way. It’s at this point that you need to trust that you’ve picked the right agency partner to work with, one that understands where you need to go and knows how to get there. As marketers and business owners, the tendency is to focus mainly on what we should start doing when setting new plans. Whether it’s a brilliant insight or a helpful sales tool, we all like to embrace shiny new things that re-energize us and drive our business forward. That’s the easy part, but it’s not the best place to begin. The hard work comes first, when we pinpoint what we should stop doing. Is the tagline memorable? Does it really convey the brand’s point of difference? How do customers perceive it? Often, clients are uncomfortable to admit when something isn’t working well. They may realize that they’re too emotionally invested in their plans to let go. Once we’ve identified what’s not working, what remains are the things we will continue doing. These are the established practices that bring success time and again and form the foundation on which to build something distinct. It’s only at this point that you’re ready to move ahead with innovative ways to achieve the marketing objectives. New initiatives take time, energy and investment. Every dollar invested needs to generate a return. As a business leader you need an expert who can be objective and offer a fresh perspective on what needs to start, stop and continue. Our simple ask is this: how can we help you do what you do well today, and even better tomorrow? 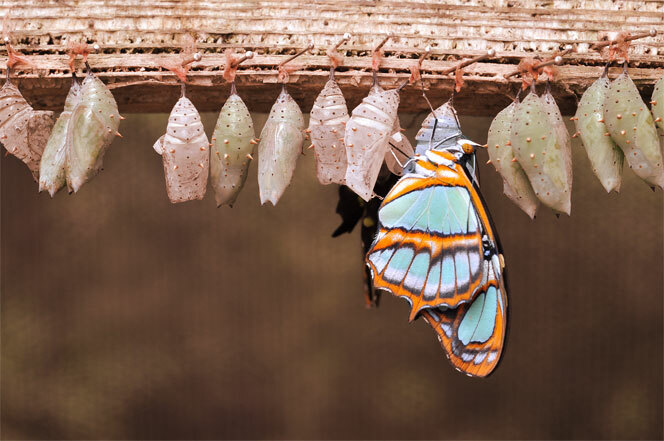 Just like a butterfly’s metamorphosis, brands can transform through a Discovery process of self-evaluation.